I’m gonna start with the admission that I clearly have a lot to learn about Reggio Emilia (and have books winging their way here to solve that). That said, one of the things that struck me from hearing Carla Rinaldi speak was how students and teachers do not have as rigid of roles in Reggio Emilia as they do here. She spoke frequently about what the children teach us and about teachers as learners. 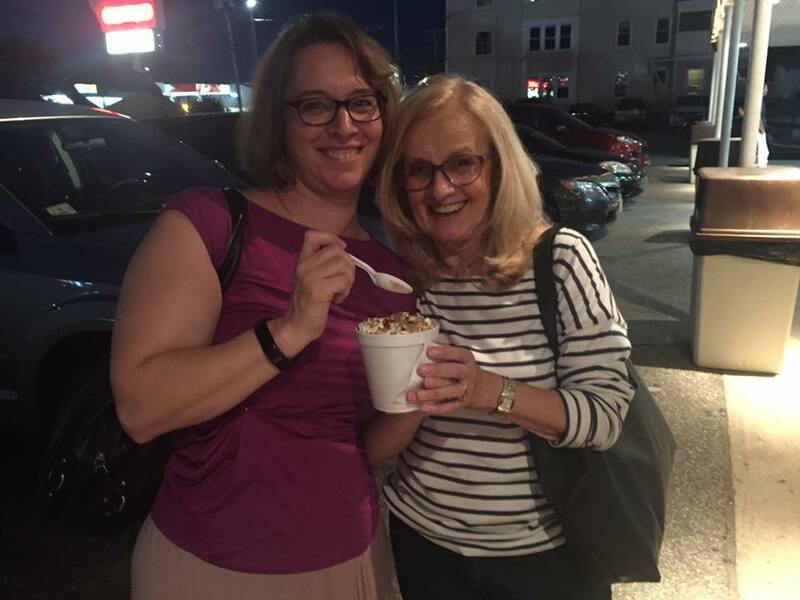 Yes, I got to eat ice cream with Carla Rinaldi. Actually, she didn’t eat any ice cream because she was too full from the seafood dinner. I did not have that problem. In my classroom I tell my students, “If you’re not working with a teacher come on over to the carpet.” (The idea is that if kids are working one-on-one or in a small group with a teacher they don’t have to stop. Otherwise they assume they have to.) Instead, I try to say, “If you’re not working with an adult…” I want my students to see themselves as teachers too. They teach me and each other on a daily basis. So, I’m wondering, what’s the difference between teachers and learners? Should we make that distinction? Aren’t we all teaching and learning? Sometimes even at the same time? I would love for my students to see all of us as learners and as teachers.